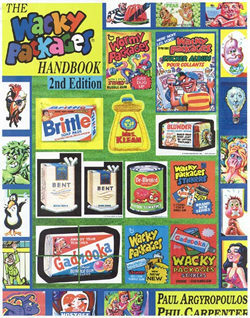 Summary: Here it is wacky pack fans! 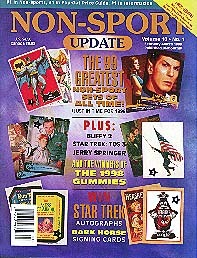 The latest & ultimate wacky pack reference book is available now! The Wacky Packages Gallery is sure to be a big hit among wacky packages fans everywhere. Created by the same knowledgeable collectors who brought us the Handbook, this time it's bigger & better then ever with high quality images and the latest accurate information. I'll have a full review of this highly anticipated reference book in a few weeks, after I receive my copy. Summary: This is a great book with over 65 pages of accurate information and pictures of everything related to Wacky Packages written by some of the biggest collectors in the country. From wacky ads to wrapper codes, it's all here. Great for advanced collectors, but beginners may be overwhelmed. 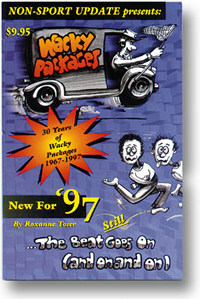 Summary: This was the first book created for wacky packages fans. It's a good book, especially for new collectors due to it's nice layout and easy to understand approach. It just lacks the depth and accuracy of the Wacky Handbook.